I work as an assistant professor at University College Zealand in Denmark, where I mostly teach students studying for a bachelor’s degree in pedagogy. When the students end their education, they become professionals within the field of pedagogy and work with children in kindergartens, with older children in schools, disabled people, people with diagnoses of illnesses and disabilities, youngsters with a background of child neglect, those with drug and alcohol problems, and homeless people. Since the World Appreciative Inquiry Conference 2015 in Johannesburg, South Africa, it has become even clearer to me how lucky my students are to be living and studying in Denmark. As in South Africa, we are fortunate to have skilled academic institutions, and in Denmark education is free for everyone. For people across different genders, races, ages and economic status, education is a real option. It is always a good practice to appreciate what we have. In contrast to what I experienced in South Africa, most people in Denmark feel safe when walking in the streets, and often forget how wonderful freedom feels. I have realised that we should not take freedom and education for granted. • What are your three best qualities when you are relating to a person who needs your professional care? • How do these qualities make you a better educator? It is often quite new to first year students that it is ‘legal’ and even valuable to focus on strengths and the positive core. The questions vary with inspiration from AI, positive psychology, social constructionism and strength-based theory, and relate to the topic of the day. To interview the person the students know least well in the room can create new relationships across the group and contributes to a more dynamic class. It is often quite new to first year students that it is “legal” and even valuable to focus on strengths and the positive core to set their own professional identity into play in a relationship that becomes deep within minutes in one-to-one interviews – that often collides with their expectation of learning in a classroom (sit still, listen, write notes). But the students often feel connected to their learning, with their professional and personal lives going hand-in-hand. We harvest the results by talking about how focusing on strengths can be valuable in their job setting, on campus or in larger institutional settings. Apart from being a “life-giving” exercise in the classroom, they train their “appreciative muscles” and refl ect on how AI can create value in their practice. It is crucial that the students learn to focus on what gives life. It is often the case that if you have a hard life because you grew up in terrible circumstances, you need to be met by loving and caring professionals. It is crucial that the students learn to focus on what gives life. If our students are able to do that, it might be the fi rst time the people they are interacting with are seen for their strengths and experience positive, loving relations. There is a real possibility that this might change their lives. 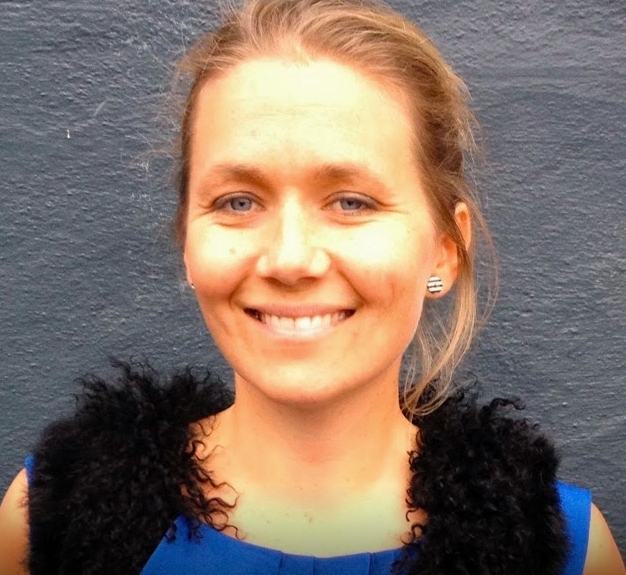 Mille is an Assistant Professor at University College Zealand in Denmark teaching BA students to become (authentic, loving and balanced) social workers and kindergarten teachers. She is passionate about how positive change practitioners connect with each other to share and grow, and how they unite in communities of practices that helps spread positive change practices.